The French Revolution was a major event in the history of Western societies, and had a profound effect on the world today. Beginning in 1789, the revolution saw the French people overthrow their absolute monarchy and bring about a republic that was based on the principles of equality, liberty and fraternity. As the revolution unfolded, the country went through a dramatic transformation, and changed completely from its earlier form. Before the French Revolution, French society was structured on the relics of feudalism, in a system known as the Estates System. The estate to which a person belonged was very important because it determined that person’s rights and status in society. Usually a person remained in one estate for his or her lifetime, and any movement from upwards in the estate system could take many generations. The first estate was the clergy, the second estate was the nobility and the third estate was the peasants. While the peasants made up the vast majority of the people in French society, over 96%, they lacked any political or economic power. In contrast, the clergy and the nobility controlled the majority of the land in France and held all of the important positions in the government, military and church. This is the period before the French Revolution and is a time known as the Ancien Regime. 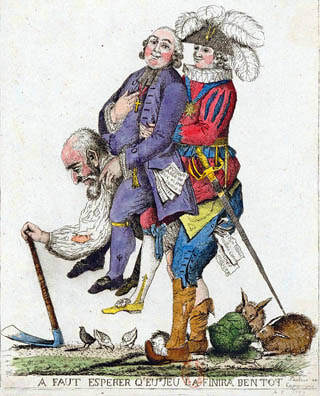 Besides being based on feudalism, French society was also centered on the political structure of absolute monarchy. An Absolute Monarchy is a form of government that was popular during medieval Europe and up until the end of the 18th century. It involved society being ruled over by an all-powerful king or queen. The monarch had complete control over all aspects of the society, including: political power, economics, and all forms of authority. Absolute monarchies often contained two key features: hereditary rules and divine right of kings. Hereditary rule meant that the monarch received their position due to their birth and as one in a long family line of monarchs. As well, medieval European absolute monarchs included the practice of divine right of kings, meaning that the monarch derived his or her power from god. This furthered the power of a monarch because it ensured that the king or queen did not get their power from the people, and therefore the people had not control or say over the monarch’s rule. Louis XVI was the absolute monarch of France in the years leading up to the French Revolution. 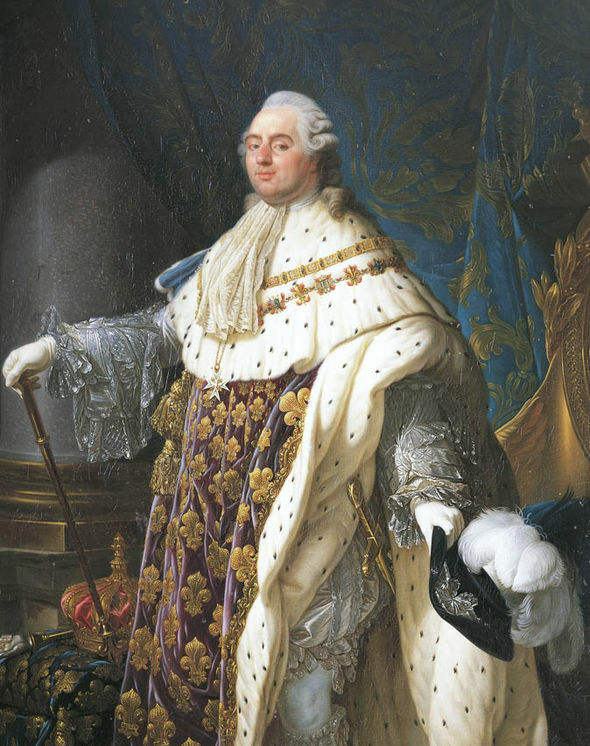 At the beginning of Louis XVI’s reign, France was under the Ancien Regime which was a system based on absolute monarchy and the feudal traditions of the estates system. The Age of Enlightenment, which had been occurring throughout the 1700’s began to introduce ideas to people in Europe that opposed these principles and were instead based on liberty and equality. The spreading ideas of the Enlightenment would eventually lead to the outbreak of the French Revolution, which would ultimately result in the end of the French monarchy and the death of Louis XVI.